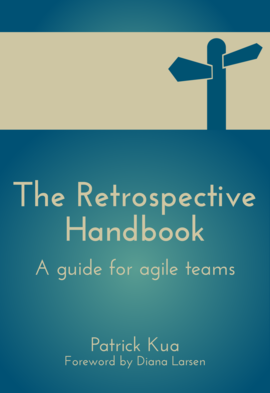 One of my colleagues at ThoughtWorks published his first book last year called the Retrospective Handbook. It’s a great tool for people thinking about facilitating or wanting to hone their skills facilitating Agile retrospectives. I thought it was great… I’ve listed out here some of the things that the book covers that I really liked. How to prepare and set up a retrospective. Right down to the kinds of pens and paper best to use. The importance of independent facilitators and advice on what to do if thats not possible and a team member facilitates. How to help achieve equal participation from everyone. Importance of observing body language as a facilitator and realising that there are many more things to ‘listen to’ of you participants that just what they are speaking out loud. Your job is not done once people have left the room. There are a bunch of necessary things that need to get done after the retro is over.